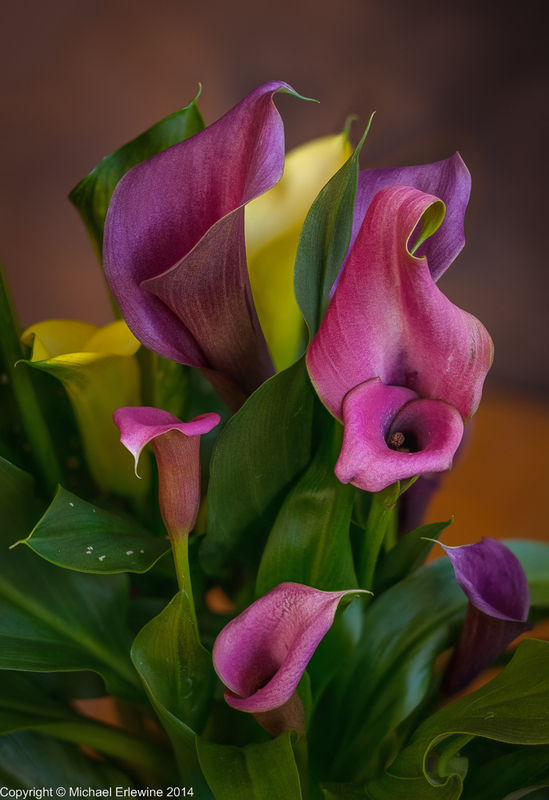 Here is another photo taken yesterday of the same group of Calla Lilies, the only blooming flower I have around that is photographable. Meanwhile, outside temperatures have dropped back down to nearly zero here again, so the waiting game for spring continues. I try to keep busy, but my eye wanders to the temperature and the sun when it is out. Meanwhile work continues on getting our studio ready for a couple of engineers (Ian Gorman and Bryan Heany) to arrive tomorrow. They will work together to check out the new patchbays and make sure the snakes (cables of wires) are all hooked up and working properly. Since the heat in the studio will be full on, I will be there working on the video equipment, filling sandbags, and building sets for interviews and perhaps one for performing music. And finally a little poem I wrote a while ago.